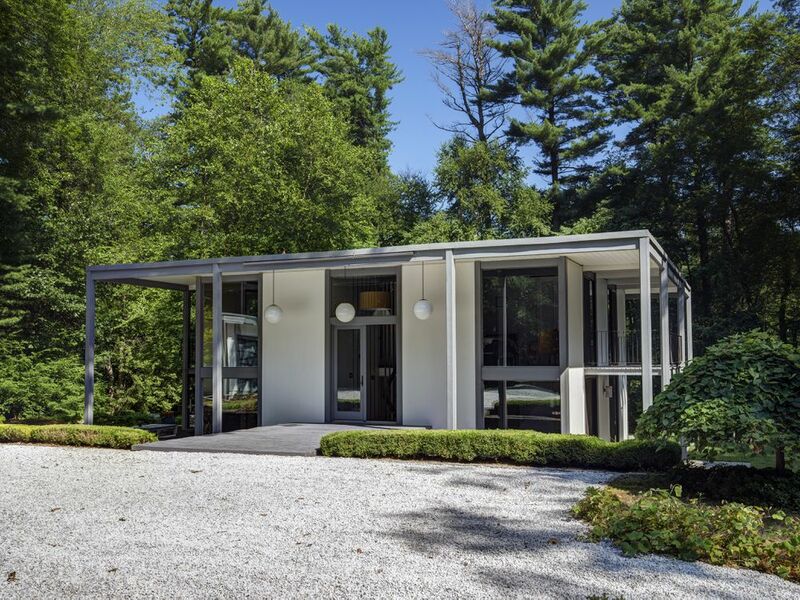 The DeSilver house was designed in 1961 by John Black Lee and Harrison DeSilver. 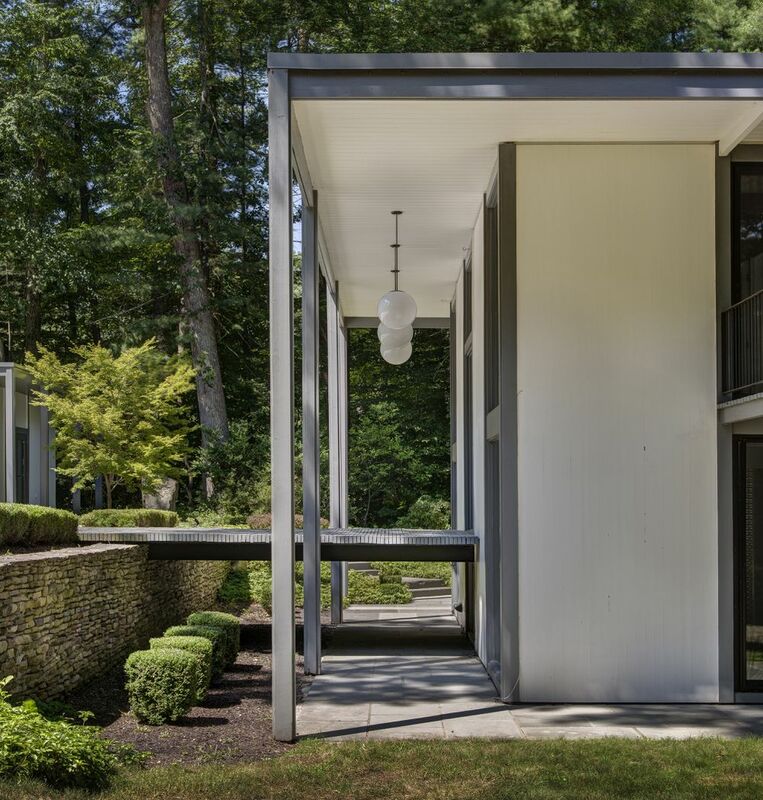 The affluent enclave of New Canaan, Connecticut, is known as a mecca of modern architecture, where during the 1940s and ’50s, a group of architects collectively known as the Harvard Five settled here and built nearly 100 modern homes, 20 of which have since been torn down. 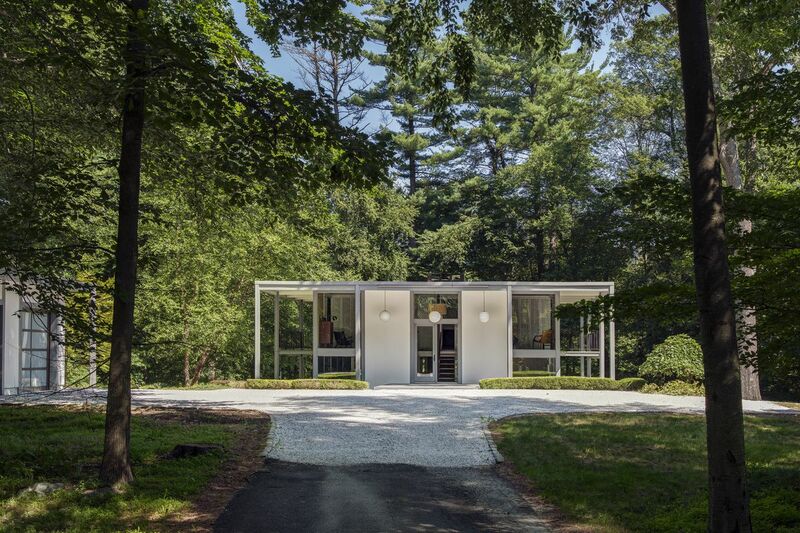 The DeSilver House on Chichester Road is one of them, and it was designed in 1961 by Harrison DeSilver and John Black Lee, who was often considered the sixth member of the Harvard Five. 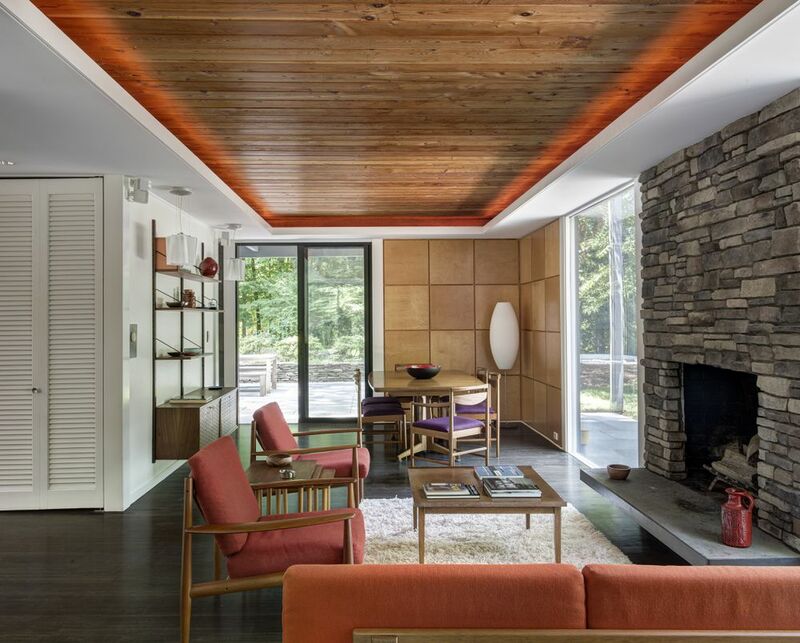 Lee also lived in New Canaan until his death, in a home he built himself. 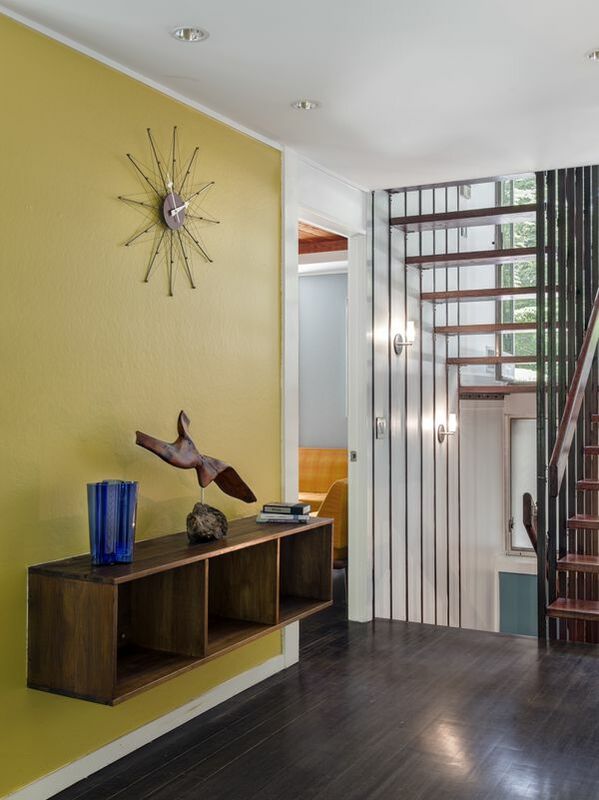 Offered through a private sale by owner, the incredible home, which has largely been preserved with a few updates, is now on the market. 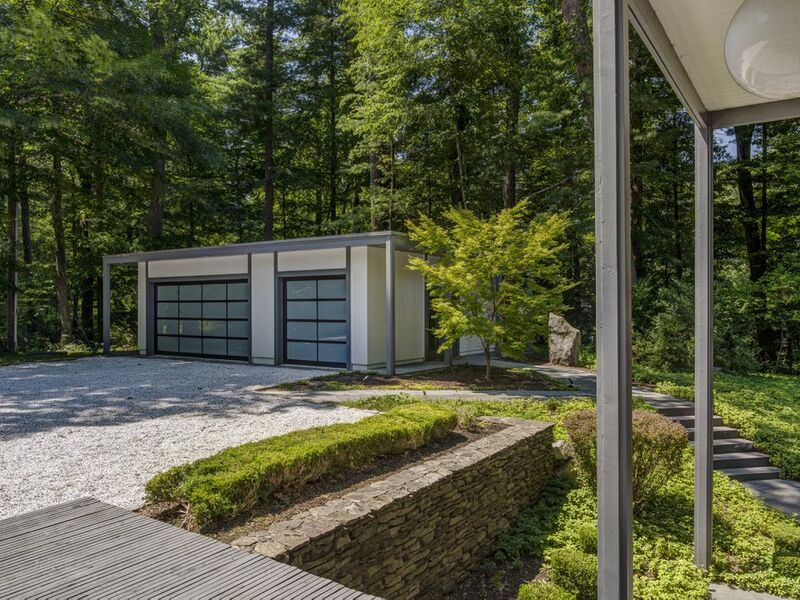 Characterized by a 6-foot-by-6-foot modular prefab system, the 2,048-square-foot residence sits at a lower grade than the driveway and is accessed by a floating wood bridge. 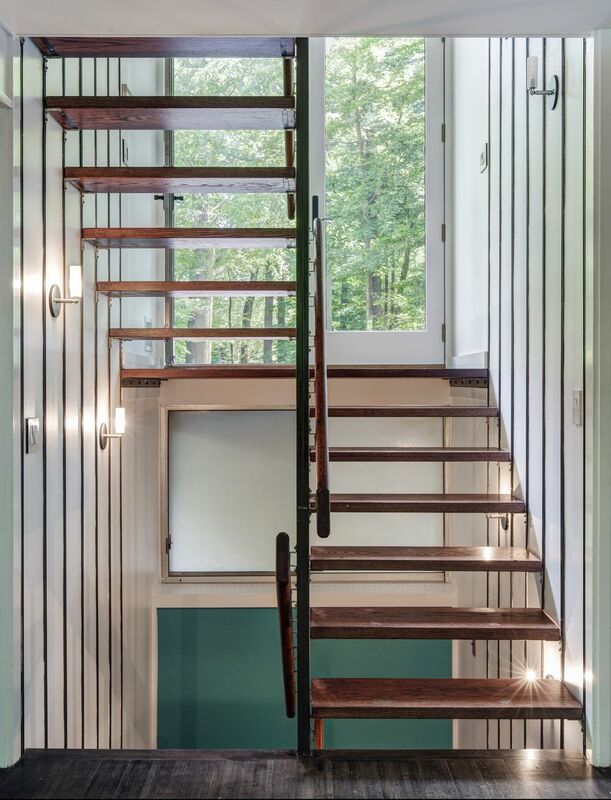 Once inside, an (original) open-tread staircase leads upstairs to spacious bedrooms (four total, with three baths) and downstairs to the main living area and kitchen (with separate pantry room, Miele appliances, and Heath Ceramics tiles). Further below are a study, children’s playroom, and basement. 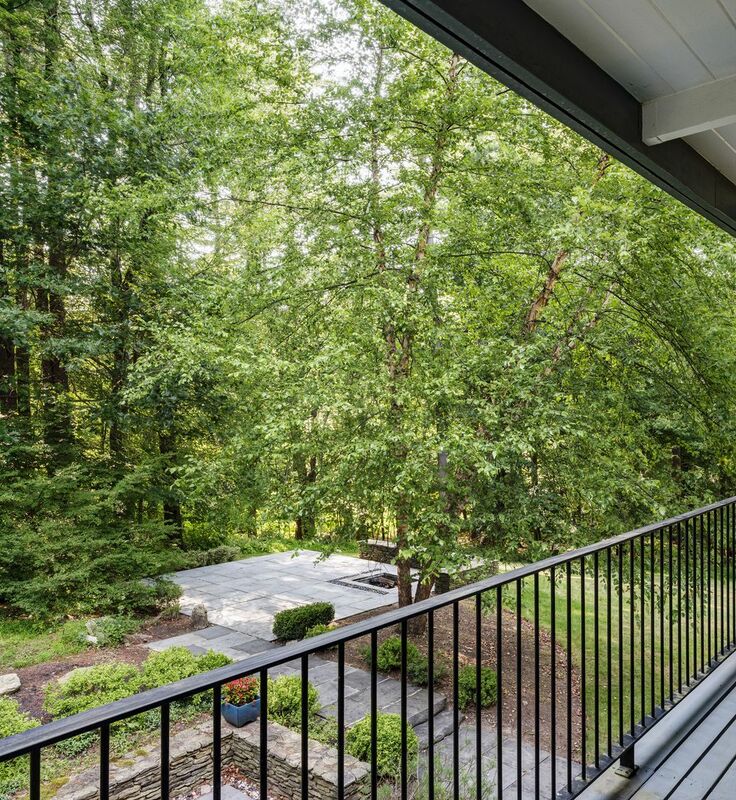 Floor-to-ceiling windows take in the gorgeous surroundings of the nearly three-acre site, while an open floorplan allows for flexible family-friendly living. 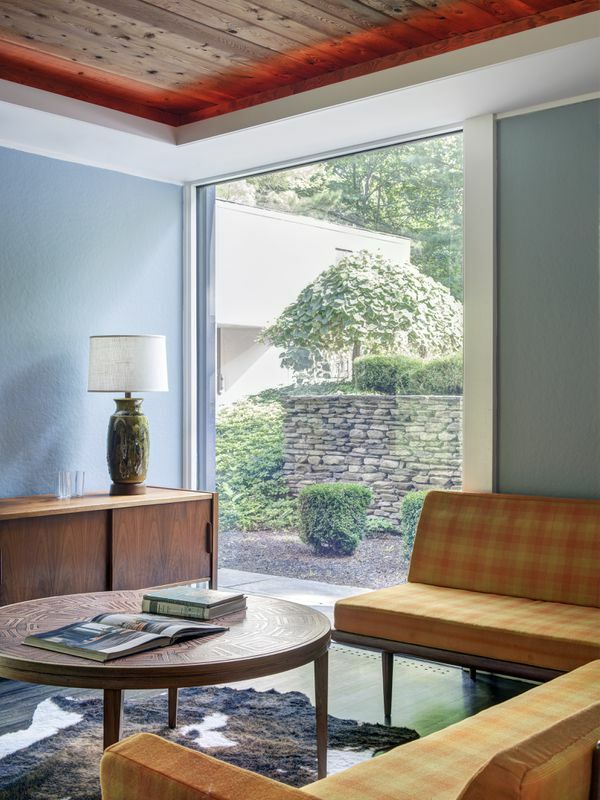 An overhanging flat roof provides passive shelter from the sun on the ground floor and provides coverage over the second-floor balconies as well. 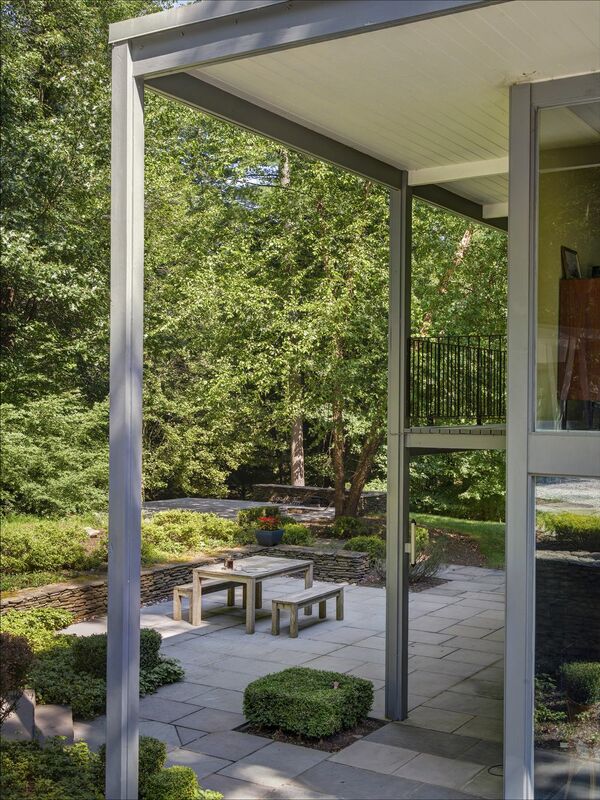 A large outdoor patio, directly accessible from the kitchen, encourages indoor-outdoor living. 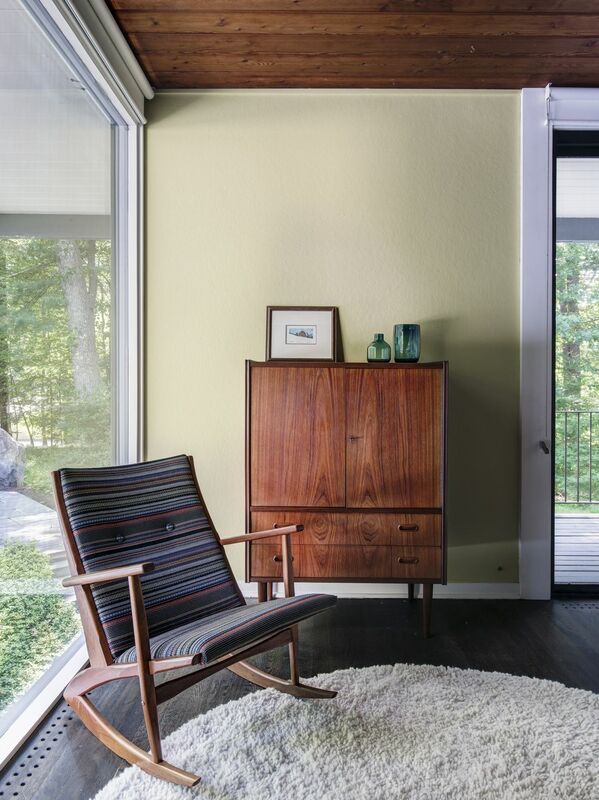 For a lover of midcentury modern design, the DeSilver House would be a treasure trove of endless inspiration. 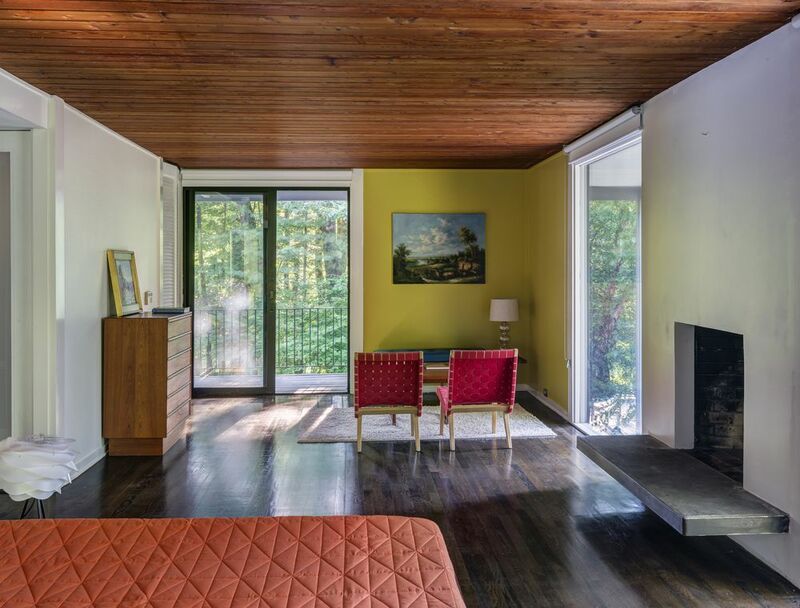 Located on Chichester Road, where many modernists also built homes, the property is offered with a guide price of $1.7 million. It is also available to rent for $7,000 a month. read more…or visit Whitton Plumbing for more. 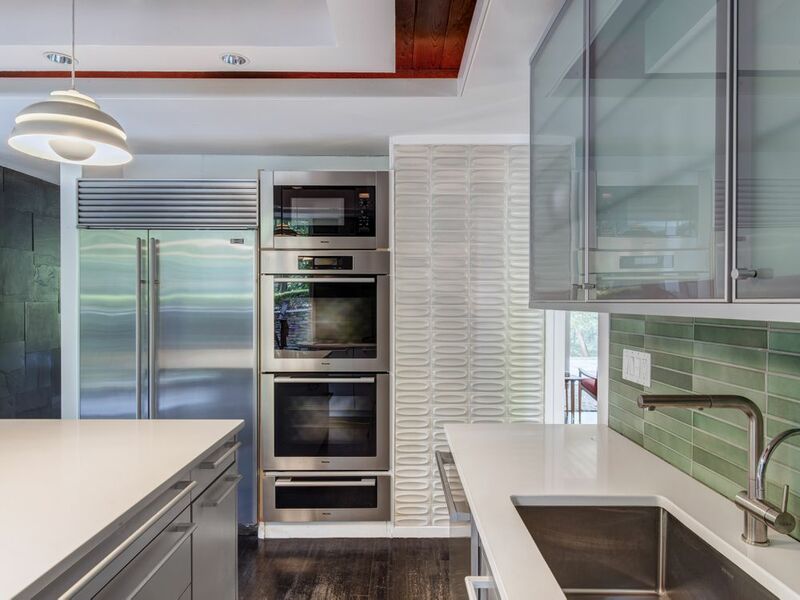 This entry was posted in Waccabuc NY and tagged Waccabuc Luxury Real Estate on November 18, 2017 by Robert Paul.